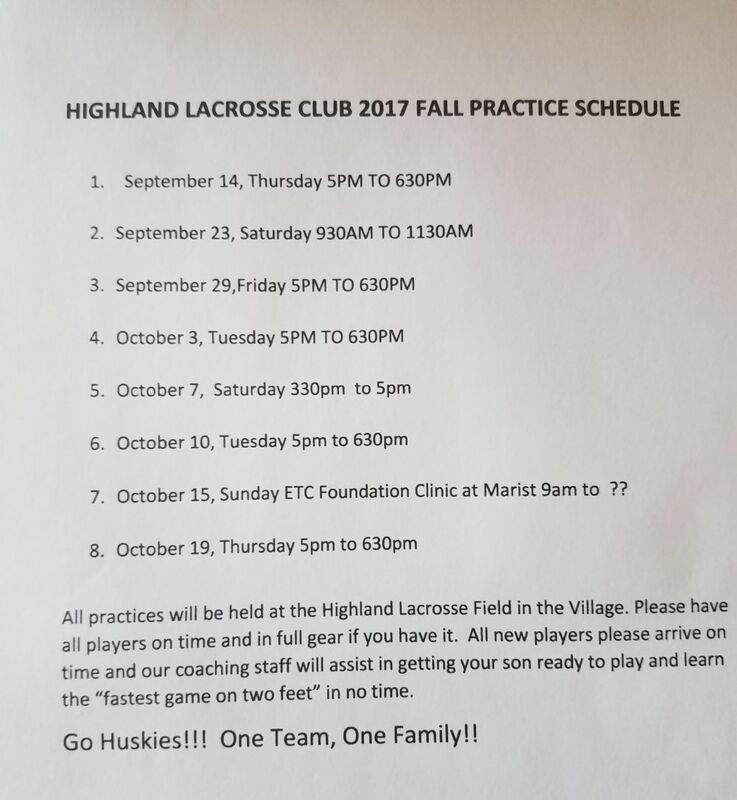 FALL LACROSSE IS A FREE PROGRAM DESIGNED TO RECRUIT NEW PLAYERS TO THE GAME OF LACROSSE AND TO HAVE FUN IN A COUPLE FALL TOURNAMENTS. FALL LACROSSE IS FREE OF CHARGE, ONLY REQUIREMENT IS TO HAVE U.S .LACROSSE MEMBERSHIP. PRACTICE IS TYPICALLY 2X PER WEEK. PLEASE SEE FALL SCHEDULE ON HEADLINE NEWS.